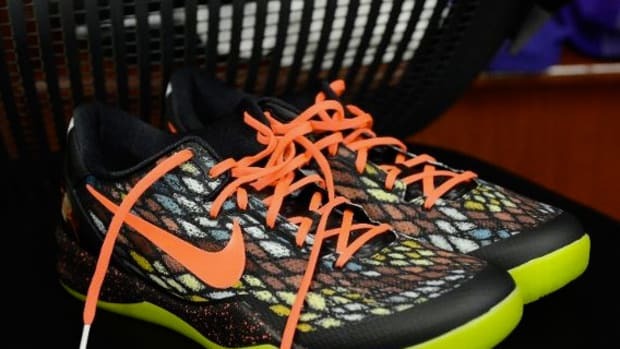 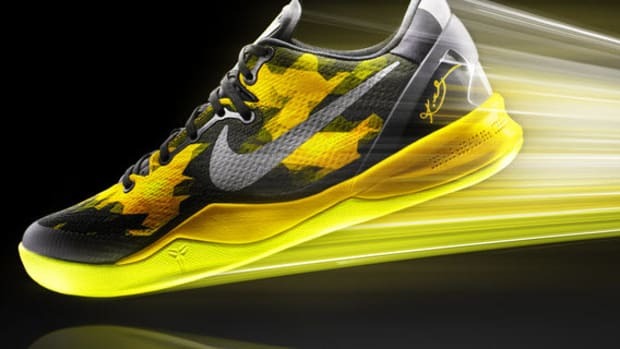 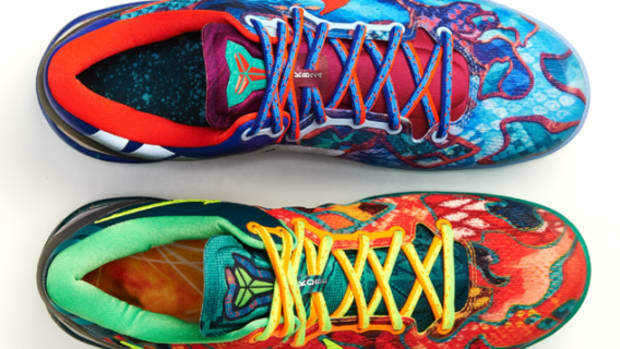 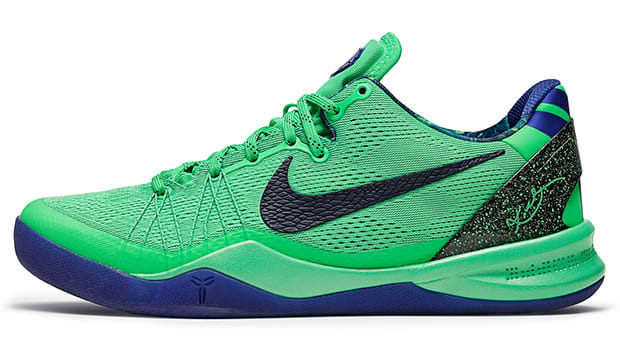 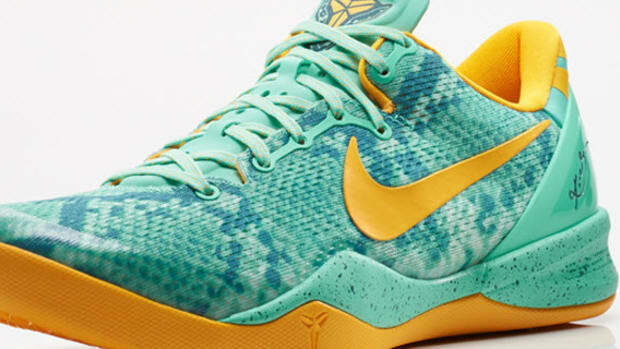 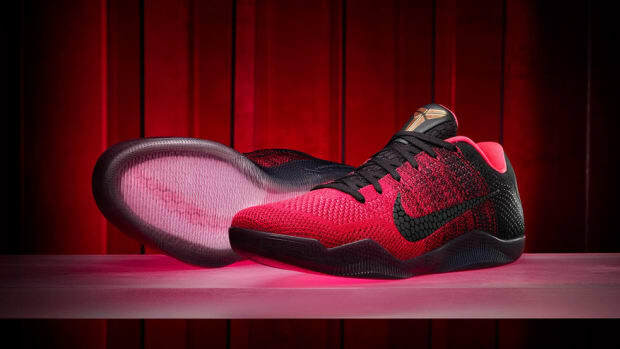 With Christmas just around the corner, Nike is giving us an official look at their holiday-themed Kobe 8 System. 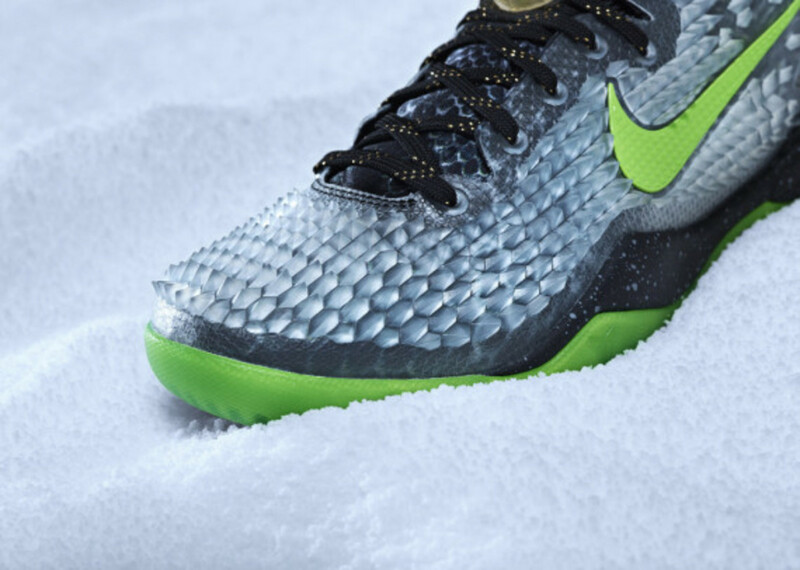 Rocking an iced-over snakeskin upper, these Kobe&apos;s will leave you feeling frost-bitten if you rub over the translucent scaly bumps that rise off of the dark mesh shroud build. 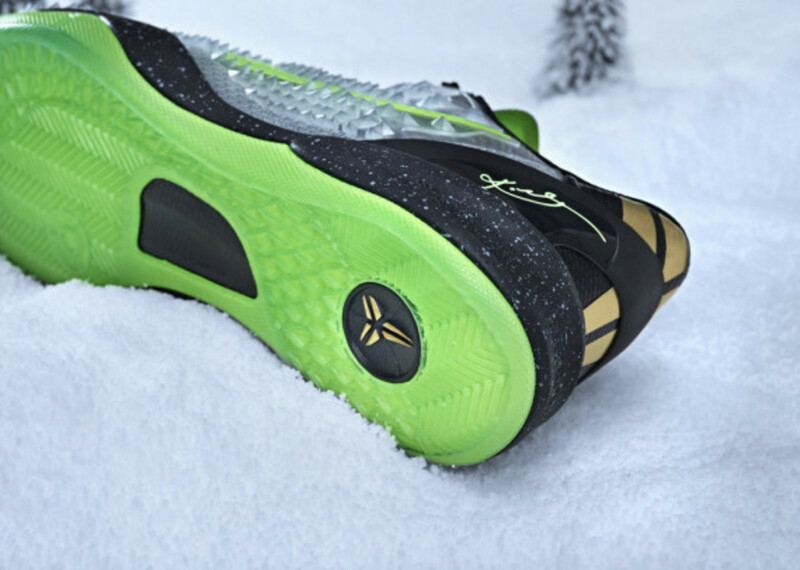 The rest of the colorway continues to celebrate the season with chrome gold accents and a neon mamba green Swoosh and midsole that also touches the lace-up. 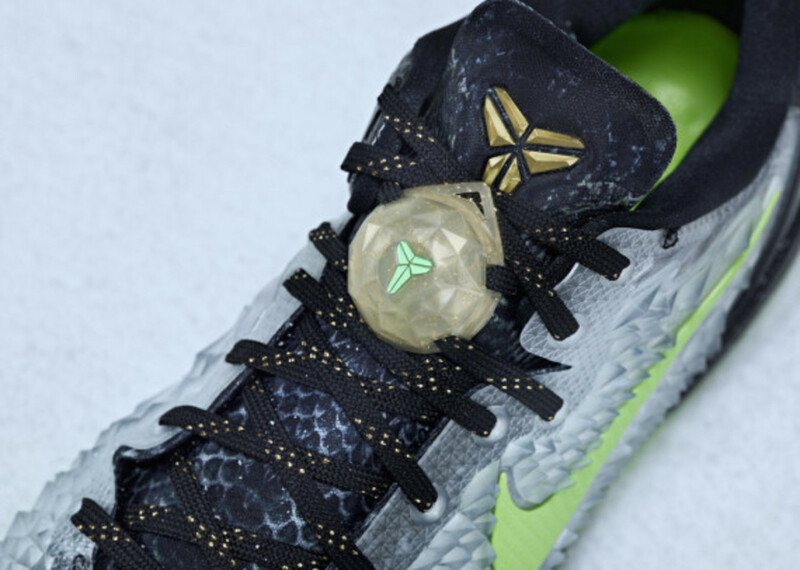 Finishing off the look, Nike has added a special logo lacelocks on the shoes that, when removed, combine to create custom signature ornaments to hang with your stockings ready for ol&apos; St. Nick. 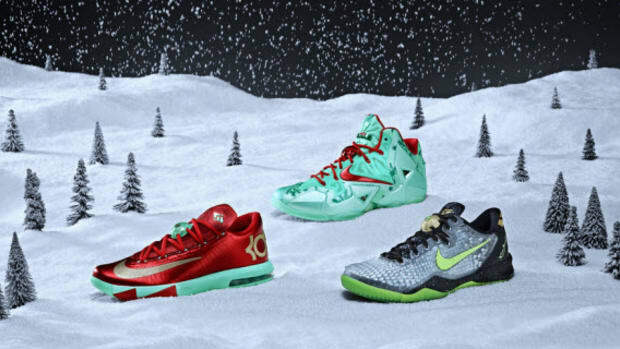 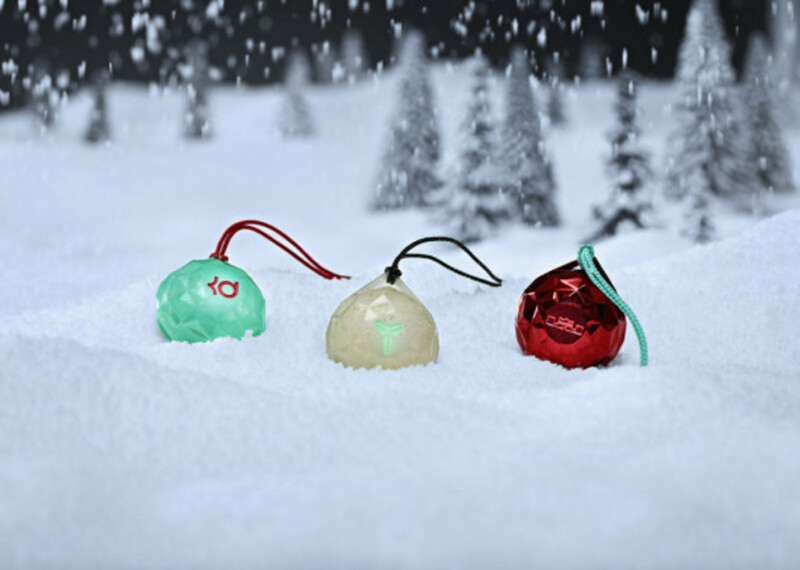 The Christmas colorways will be available in limited quantities at select retail stores and Nike.com beginning December 26, 2013, just in case you need some extra motivation to be good.